Marathon running is as much about the state of your mind as it is about the fitness of your body. If you do not do your homework and prepare yourself for the 4 or 5 hours of pain, exhaustion and boredom then you are going to greatly increase your chances of failing to complete the distance. If you are preparing to complete this challenge for the first time then your biggest fear is always going to be not knowing if you can do it or not, but with the right mentality, combining a positive can do attitude, with the ability to punish and mentally abuse yourself more than you have ever had to before, then your going to be in a great place to attempt the 26.2 mile challenge. From my personal experience here are my top 10 mantra's that I learnt and regularly repeated or abused myself with when any negative thoughts about stopping crept into my mind for my first ever Marathon attempt. Do I HAVE to stop, or do I just WANT to stop? When your mind starts asking you to please slow down to a walk or to for a few moments rest, then just ask yourself whether it's because you have an injury, because your having a heart attack, or just because it will make things a little bit easier on your body. No one ever said that running a Marathon would be easy so if its the last one of those three thoughts then just get on with it and keep running. This is a battle between you and the distance and if you're not going to give it everything you've got then you may as well not bother at all. You have to prepare to push your body and mind to do this, because if you don't you may not be lucky enough to cover the distance. Your BODY is not giving up, your HEAD is! You need to remind yourself that while your thinking these negative thoughts, that if you look down your two legs are still working together as a team, stride by stride, to get you through that distance. It's not your legs complaining, it's your brain. With all the training you've put in to get you to that starting line, you have prepared your body to get you through one of the toughest endurances life can throw at you. A positive attitude that yes you can do this, even if it hurts, is a must to get you from that starting gun to that finish line and the bling of a shiny medal to show off. You are capable of doing ANYTHING! Following on from Yes I Can , this mantra helps to remind you that it was you who set yourself this major challenge and you are the one out there doing it! Yes it is more than a slight inconvenience for a sunday morning but you wouldn't be attempting it if you didn't want that finishers' medal and the pride of completing it. There is no CAN'T, only DO. Finish at all costs. You have to be determined and you have to want this. If you're not then your going to make it ten times tougher. A mantra even Yoda would be proud of, you have to only think in positives and that you can complete this - no matter what any doubters have said to you (or even behind your back) in the past. Don't think of how far you HAVE TO GO, think of how far you HAVE COME. Try to break the race distance down into smaller, more manageable pieces in your mind and remind yourself after each section of how far you've come. Not just today on race day, but from where and who you were the day before your training began. Plus, after you've gone past that halfway race distance marker, just think, you've actually got fewer miles to run than you have already completed! This is the point where you need to start giving yourself some tough love. You have put so much time, effort, blood, sweat and tears into your training and getting this far round the course, that you have to push yourself well past any comfort zone and to a place where you have to think of your body as a means to get through this challenge. Yes you are in pain, yes you feel like you can't go on, and yes you may feel that you just have nothing left to give to cover those last handful of miles. But guess what? In the morning, your going to be in a lot of pain same as you would do if you had completed the distance, except that you will not have that burst of pride that you will have completed that all important challenge you set out to do. Which is worse - the pain which will go over time, or the regret of not finishing?? Remind yourself why you wanted to do a Marathon in the first place - you had a dream and now you're living it! This is definitely my favourite and has helped me get through the toughest moments in a race. This is the family version of what you will really be saying to yourself, change the word 'girl' for which ever suitably abusive swear word you find works best for you! By the end you will be screaming at yourself to just get on with it and stop complaining and whining. So with any of these Top 10 mantras to mentally get you through a Marathon, feel free to slip in the odd cuss word or profanity in order to increase the effect it has on you! 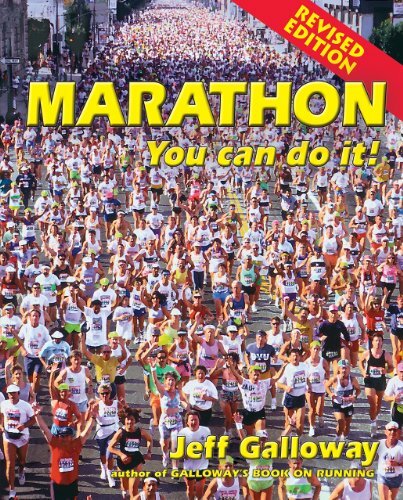 Hope this helps if your training to do your first Marathon. Please let me know if you have any other mantra's which work better for you and Good Luck! Trust me - the pride you feel after having battled through a Marathon is definitely worth it! !